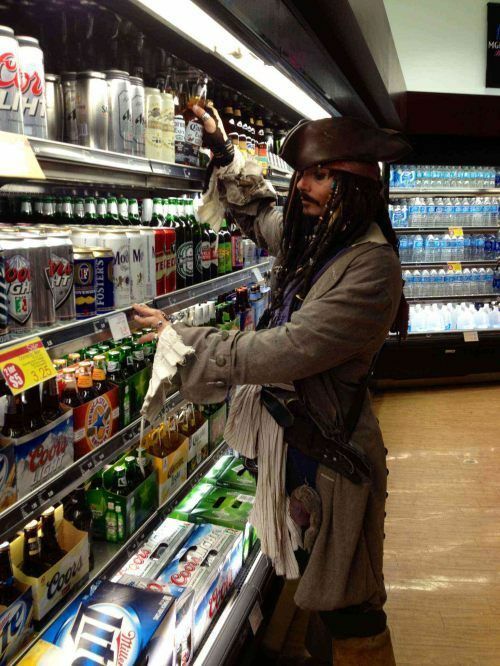 Future Twit: Captain Jack Sparrow Buying Beer? Maybe. Check out the linked image and decide for yourself. Whoever the person is dressed up as Jack Sparrow, he is doing a good job.